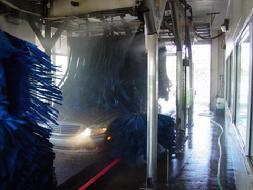 Our Full Service Car Wash offers Hanna soft cloth cleaning system. This system is used by many major automobile manufacturers. In fact, over 120 auto manufacturer installations around the world trust Hanna to wash their cars before they are delivered to dealers. The list includes automobile manufacturers such as Mercedes Benz, BMW, Lexus, Toyota, General Motors, and Ford to name a few. We proudly feature Armor All Pro Products including Body Shield® which provides 30 day UV protection from the sun, resists acid rain, and protects your finish from bird droppings and tree sap. We provide the personal touch. 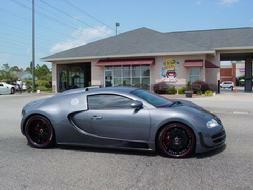 We clean your wheels by hand and remove bugs prior to the washing process. We do it the old fashioned way, with care in mind. At Beach Buffers we care about the environment. We recycle 85% of our water through our reclaim water filtration system. It also goes through an oil separator and any untreated water is then processed through a sewer treatment plant. None of our water is released into the storm sewers which later goes into streams and lakes. 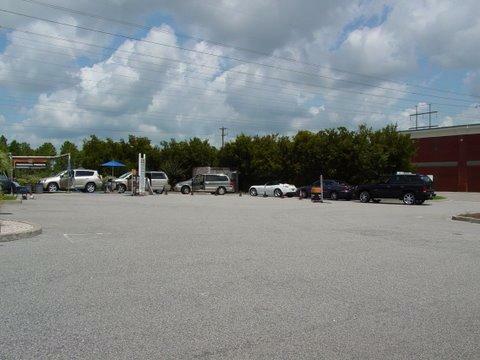 In 2008 we were honored with the Southeastern Car Wash Association Top Car Wash of the Year Award for "Going Green". 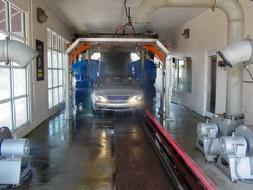 Our washes start at $9.99 and our full service packages start at $21.99. We offer packages for every budget. down door jambs and dusting off the dash and console. Department and will be quoted by vehicle. 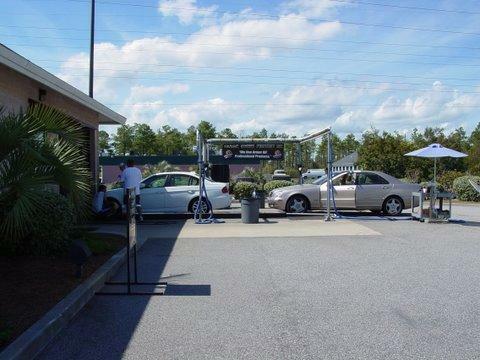 mention it to the Attendant when ordering your wash.
We also offer hand washing for exotic and antique cars and oversized vehicles which cannot fit through the tunnel. 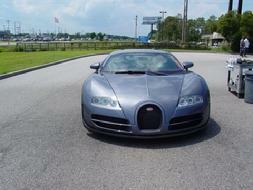 The Bugattis were in town for Memorial Day Weekend 2012 for an exclusive party on the beach. The guys stopped by Beach Buffers for hand washes on both vehicles and were very gracious and allowed us to photogragh these two beauties. Thanks again to the guys from Georgia and Alabama for stopping by Beach Buffers! 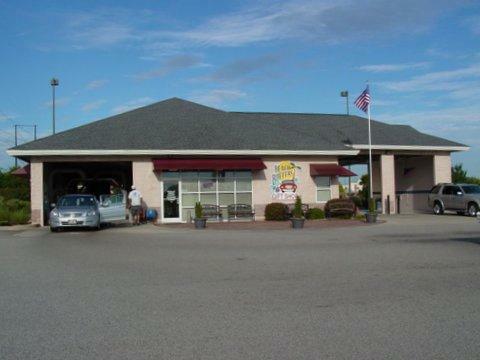 We appreciate your trust and we look forward to seeing you again next time you visit Myrtle Beach.